In Victoria/Pimlico/Westminster Area which is in zone 1 in the heart of London. This makes it perfect whether your here for pleasure or business. Please see our Location. Which is the closest Underground Station? 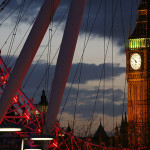 Pimlico is about 5 minutes walk and Victoria 10 minutes walk away. Again, please see our Location. What star rating is the hotel? We are rated 3 Stars with Visit Britain, the National Tourist Board. Check-in is from 15:00 (you may arrive earlier and we will store your luggage for you, if a room is not available). Check-out is at 10.30 (we can store your luggage until 21:00 if you wish to continue sightseeing on your check-out day). Can I check in before 15:00? Subject to availability, yes you may, however additional fees will apply for day use of the room. Please also note that there may be noise before 15:00 as housekeeping will be servicing the rooms. Can I check in after 22:00? Yes, but please let us know about your late arrival by email in advance. Can I check out after 10:30 i.e. can I have a late check-out? Subject to availability, late check-out may be available until 12:00. Extra fees apply. Please enquire at reception. From 07.30 until 09.00 on weekdays; and from 08:00-10:00 on weekends. 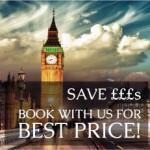 Can you book Sightseeing Tours and Theatre Tickets? Yes, please enquire at the reception desk on arrival where you can also buy bus tour tickets. Do you have a Direct Dial telephone in the rooms? Yes, please ask for an outside line on arrival. Can I access the internet? Yes complimentary wi-fi is provided throughout the property, however the strongest signal is in the public areas. We have invested in fibre optic broadband which is the fastest available on the market. Where is the closest Internet Café? 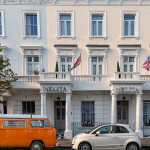 ‘Pimlico Village’ on the corner of Belgrave Road/Lupus Street, about 5 minutes walk from the hotel. Do you provide laundry facilities? No, but there are launderettes near by at 6 Lupus Street and 64 Lupus Street. Alternatively, there is a Dry Cleaners on Moreton Place for ironing and tailoring services. Do you have an adaptor? You can buy European to UK adaptors at reception. For US guests you will need to buy a transformer from a local store, Robert Dyas. You have a 120v shaver point in the bathroom. Is there air conditioning in the rooms? No, but each room is equipped with a fan in the warmer/hot months during the year. Due to the historical nature of our buildings we are unable to find a home for air conditioning units. Unfortunately since our buildings are nearly 200 years old they are very strictly protected, so we are unable to install a lift (even though we would absolutely love to!). 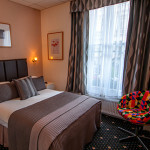 Please let us know in advance if you would like a room on a lower floor. We will also do our utmost to help you with all reasonable luggage. If you have particularly heavy luggage, please also let us know in advance. Yes you certainly may, although additional fees will apply. Alternatively, you can store bags at Victoria station although this will be significantly more expensive. To save you this hassle and cost, you can therefore leave them at the hotel for a nominal fee per bag.